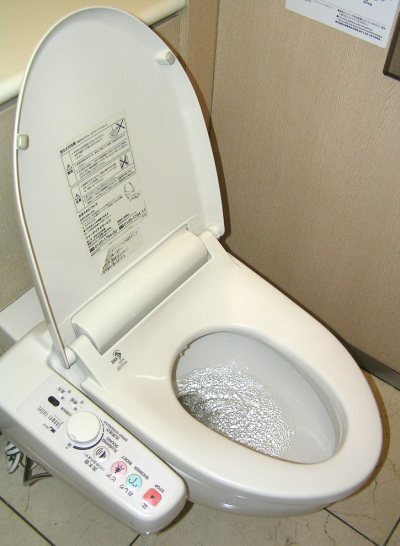 Every time I travel abroad, I think that Japanese toilets are great. In the places I travel to, except for the hotel, I’ve never come across a really clean public toilet. About this point, in Japan, the toilets of the department stores or the train stations are comparatively cleaner and easier to use. And it’s good that they can be used freely, with no charge. Japanese toilets appealing point is their cleanliness but their best point is I think the “washlet”. I cannot poop comfortably anymore without “washlet”. When you use washlet you don’t need to wipe your bottom so much, it also prevents hemorrhoids. When I talked about this with my boyfriend he said that the toilet paper in Japan is of poor quality so that’s why it’s necessary to use washlet. Indeed cheap toilet paper is of not so good quality but I believe the reason Japanese are fond of washlet is that they are addicted to the good sensation that their bottoms are washed cleanly. Now they reached the point that, when they wipe only with paper, they feel their bottoms are still not so clean. Anyway I would like the washlet to be exported worldwide even more. I would like people in foreign countries to experience the nice feeling given by the washlet.